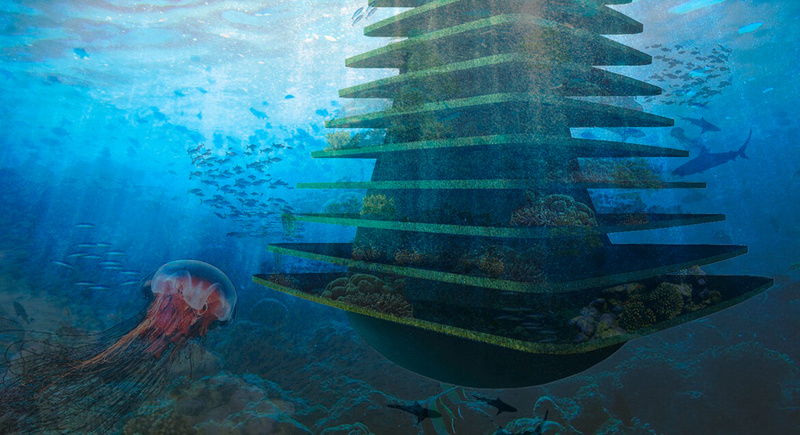 The concept is at once simple and revolutionary: a floating, stratified park that provides a home for both above-ground and underwater creatures. 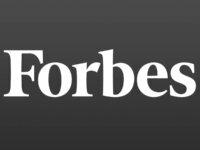 The Huffington Post interviewed a representative of the firm about the project. In the below email exchange, Waterstudio reveals how they were inspired by offshore drilling platforms used by oil companies, the cost for a sea tree and whether or not the plans can actually be realized. technology exist to make them a reality? Waterstudio: Yes it is all existing and proven technology. 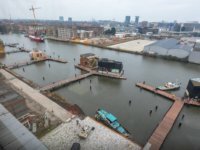 Our Dutch heritage with hundreds of years fighting against the water has provided us with a lot of innovative floating solutions. The oil companies use these floating storage towers already for years, we only gave them a new shape and function. 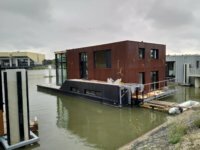 For the green and fauna solutions, we have the best institutes and university here in Holland which have provided us with the concepts to use these structures as a catalyst for the growth of habitats. terms of design? What else inspired you? Waterstudio: It is not about donating but about another way of executing their positive attitude against the environment. 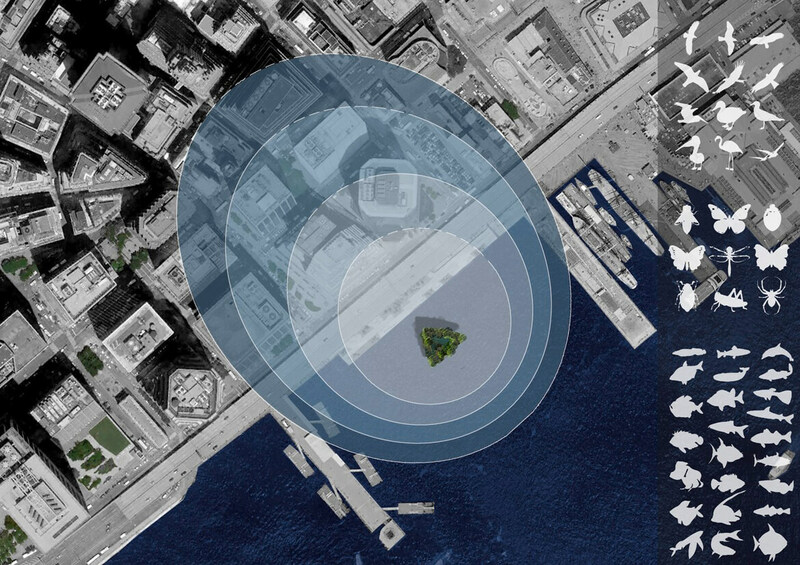 The Sea Tree is a “City App,” a floating product that can be added to a city in a manner similar to adding an app on your smart phone. The oil company still holds ownership, and the city provides a location. Inspiration came from a project in Holland where ecologists forced us to provide habitats for animals which couldn’t be disturbed by people. Water is of course a perfect way to keep people away. The shape of a floating oil storage structures in Norway brought another inspiration combined with regular shapes of tree with a big crown on top. The concept idea is that we took park zones in urban areas, we divided them in pieces and put them vertically on top of each other, at the end it became a vertical hangout for wild life! HuffPost Arts: Is there any estimate as to the cost? Waterstudio: The cost is estimated at $4.5 million for the shown design. 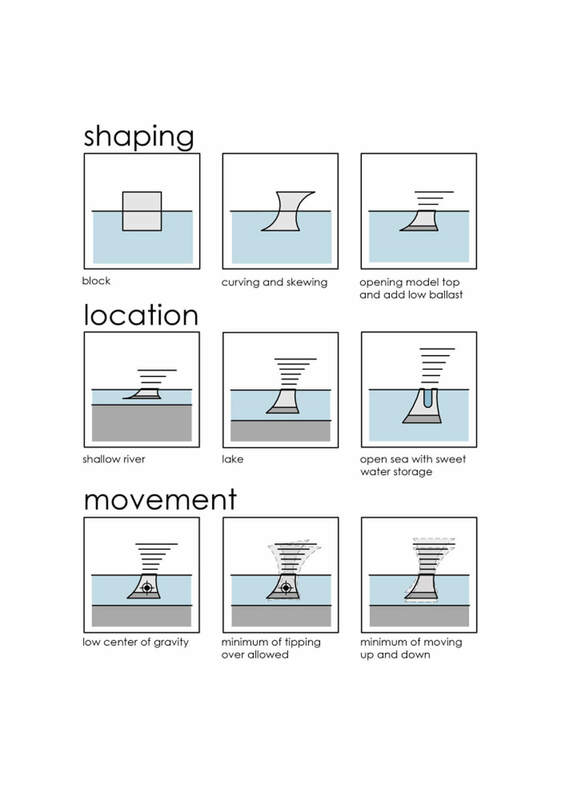 Depending on water depth, mooring facilities and transport from construction site to the chosen city. Further cost differences depend on the preferred flora and fauna. of water, but where would you most like to see the first one? 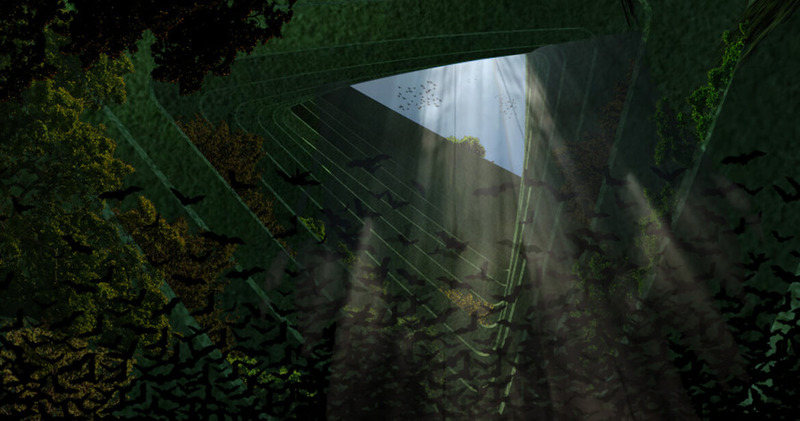 Waterstudio: These Sea Trees make sense in a highly dense urban area where water is available. This covers almost 90 percent of the world’s largest cities. Our favorite locations would be either Mumbai or New York. Both have such a high m2 price on land that it makes the construction of a parkzone on land not feasible. A Sea Tree on water would be a solution as well a perfect show case for the oil company to attract attention for their environmental program. 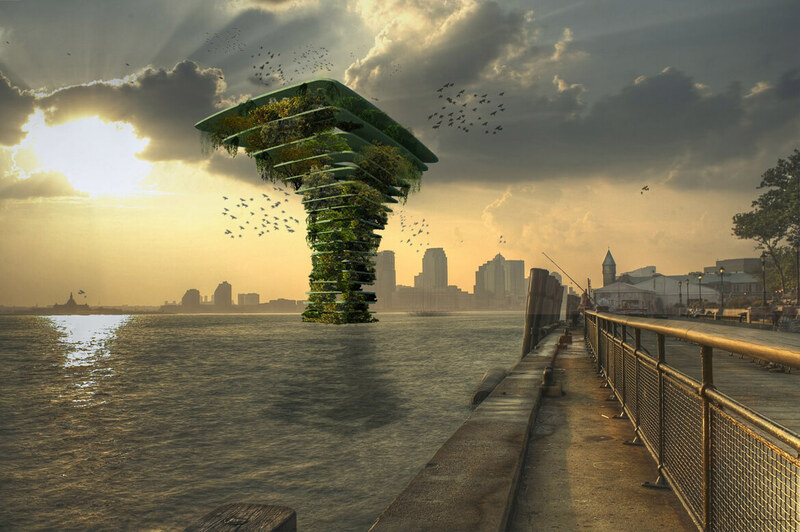 Imagine this Sea Tree floating in Upper Bay, New York — it would become an eco-hub between Manhattan and Brooklyn. — have you had any interest from investors or possible partners? Waterstudio: Yes we have. It is indeed amazing how this concept has gone viral. We get a lot of media requests on a daily basis. 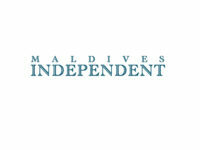 It shows the general global interest of people in these kinds of green floating solutions. But media doesn’t build, so we are very happy that we have had both ecological institutes as well as representatives of cities who have started conversation with us. At the same time, we see a growing environmental and sustainable focus by most of the major oil companies. 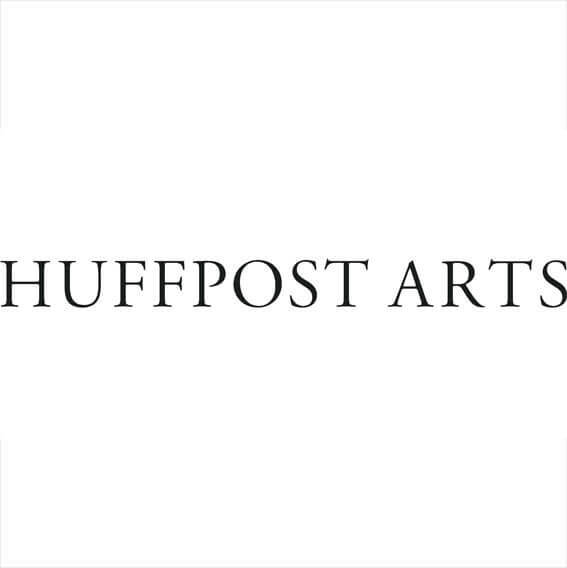 HuffPost Arts: How long did the project take to draft? Waterstudio: A few months, and the process involved ecologists, architects, engineers and urban planners.